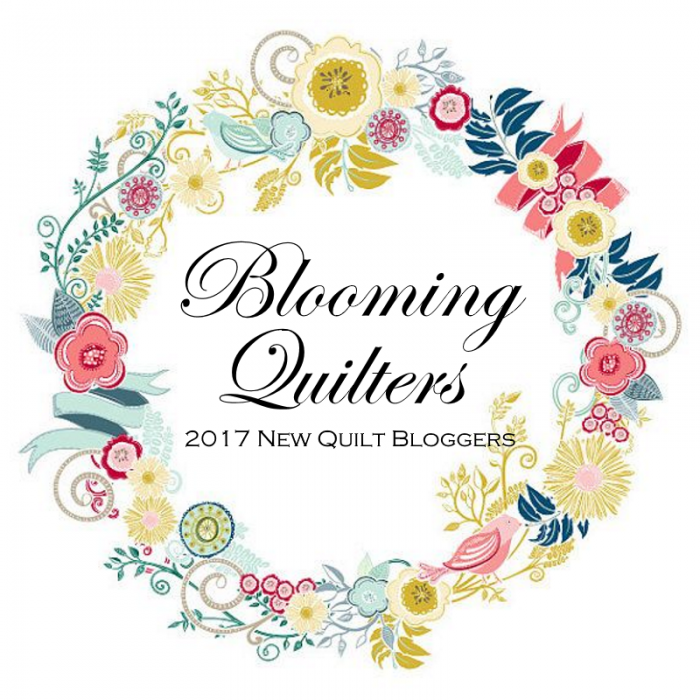 I'm so excited today to finally be able to announce the next quilt along by the Partners in Design -- the same group of quilt designers and bloggers who brought you the Christmas mystery quilt along, I Wish You a Merry Quilt Along! Yep, we've got a name now--Partners in Design--and a sparkling new logo to go with it. In addition, we've got a purpose--to create a place for fabric and friends to meet up in creative fun! That place, by the way, is our Facebook group, our Instagram hashtag, and our collective blogs. I don't know either, but I sure hope you do! I can promise you this: if you make time for us, we'll make time for you and give you as much help, encouragement, and fun as you can handle. Almost forgot the fabrics! <grin> Yep, you'll probably want to gather some up before the first block is released on May 15th. For my quilt, I’m going to make my quilt using a mix of prints and batiks from my stash. I'm probably going to go scrappy with my backgrounds, but I'm estimating about 1-1/2 total yards for that. You might want more though if you think you'll use the background to finish your quilt--for alternate setting blocks, for sashing or cornerstones, or for borders or binding. For the rest of the quilt, I'd pick up a nice selection of fall colors, maybe 1/4 to 1/2 yard each depending on how many fabrics you go with. For my selection, I started with this awesome batik (shown at the bottom of this image), then pulled fabrics I thought would go with it. I'll make adjustments to my selections as needed, as each block is released. As you can see though, my stash is large so I'll have no problems finding what I need. Not shown here is my background fabric, which I think will probably be a selection of light tans. Now, about finishing your quilt. 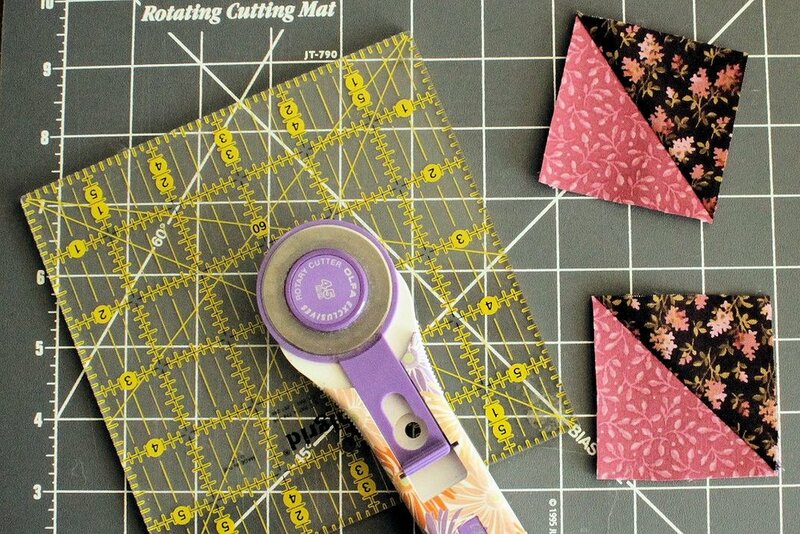 You can set your blocks however you like, with or without sashing, on-point, or with alternate pieced or non-pieced blocks. Since you know the finished size of the blocks (12”) and their number (12) you could start playing with setting options now, then get enough backing, sashing (if any) and binding for that. Or you could just chill. I’ll be presenting several ideas for settings after the last block is presented and hopefully these suggestions will spark the perfect ending for your Fall mystery quilt. If you want to see how I set the blocks from the I Wish You a Merry Quilt Along, click here. We will award a prize every two weeks to the lucky quilter who finishes the current block and posts it to our Facebook group or to Instagram (with the hashtag #FallintoaQAL) or uploads a photo to the link up on the block designer's blog. To make it easy on you, simply come back here every two weeks on a Tuesday, pick up the new block instructions, make your block, and post a photo to one of those three places before the next block comes out. That’s how you get entered in the prize giveaways. By the way, unlike a lot of contests on the web, ours is open to International participants as well! tell me...will you be joining us?